If you’ve been to an Iowa county fair or attended a field day covering water quality, conservation, cover crops, edge of field practices or a range of other topics, there’s a good chance you’ve seen or even visited a Conservation Station operated by Water Rocks! 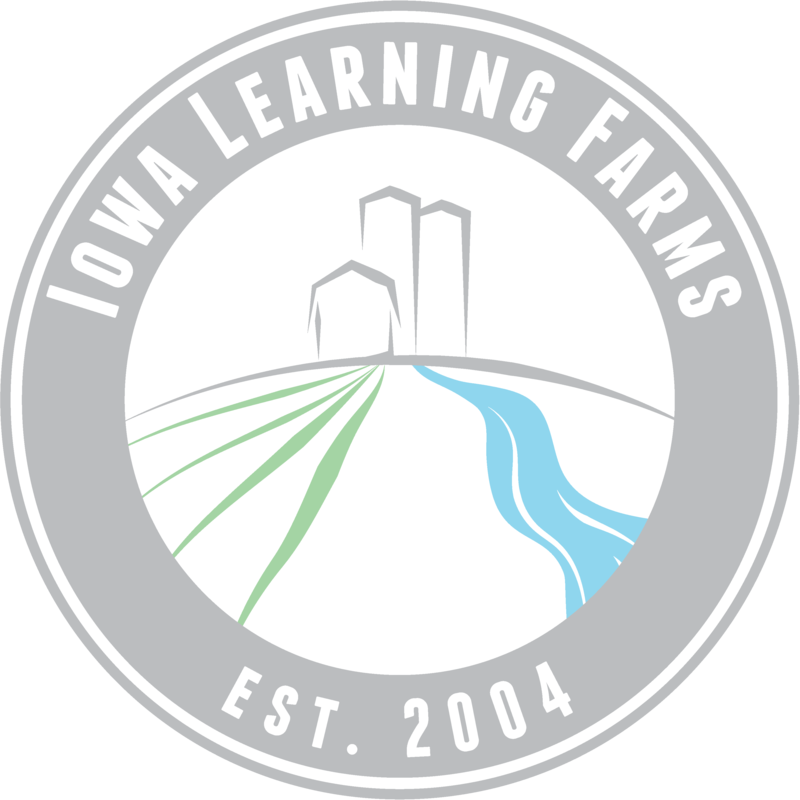 and Iowa Learning Farms. Last summer we hit the milestone of attending all 100 county fairs in Iowa – (yes 100, Pottawattamie County holds two.) They also make appearances at community events, farmer’s markets and other settings. The Conservation Stations are traveling resource centers and classrooms, staffed by the ILF and Water Rocks! team members and interns, providing water quality and conservation outreach activities built on a foundation of science, research and best practices. The idea for the first Conservation Station was germinated in the early years of ILF – which is celebrating 15 years in 2019. The precursor was a trailer equipped with a simple rainfall simulator for demonstrating soil erosion. It was a good start, but frankly, it was a limited demonstration and the team quickly realized that they needed a more sophisticated rainfall simulator. In addition, ILF saw the potential to expand its impact by providing a broad canvas for education through visual, interactive and multimedia displays. The trailer, dubbed the Big Conservation Station, allowed space for an improved rainfall simulator as well as a walk-through learning lab. Inside the learning lab, visual and multimedia presentations are designed to engage audiences in conversations and to elicit questions about conservation practices. The learning lab was updated in 2018 to incorporate mixed-media artwork and enhanced messaging with the purpose of eliciting visitors’ hopes for Iowa. ILF faculty adviser Matt Helmers developed the new rainfall simulator which more accurately models both surface runoff and subsurface flow or drainage in tiled environments and uses soil blocks extracted from field environments to best parallel actual soil conditions in Iowa fields. A smaller trailer referred to as Conservation Station 3 was built specifically for outdoor classrooms and other youth activities. Along with a rainfall simulator, it is also equipped with the space to carry enough tables and chairs for students as well as a full complement of displays and activities resources. In 2018, the original rainfall simulator trailer (which we called the Lil’ CS) was redesigned to become the Conservation Station on the Edge, addressing best practices for nutrient runoff mitigation at the edge of tile-drained fields. Equipped with working saturated buffer and bioreactor models, this trailer takes the story of field runoff to a deeper level. The demonstration stations allow the audience to see what happens within structures –that when implemented in a field are completely underground and out of sight. Find out where to see a Conservation Station near you! The Conservation Stations are used April through October. Click here for the schedule of appearances or to request a visit. In most circumstances, a Conservation Station can join an event at no cost, due to the generous funding received from our partners.